From May through July, hackers exploited a website vulnerability at Equifax, one of the major consumer credit reporting agencies. This breach affected 143 million Americans. If you have a credit report, there is a chance your sensitive and personal information including Social Security numbers, birth dates, addresses, and driver’s license numbers, may have fallen into the wrong hands. Fraudsters could use this equity breach to obtain additional non-public financial information to steal funds. Please take extra steps to verify the identity of any person who contacts you and requests personal information, financial or otherwise. (For example, end the conversation and use the contact information you have on file to reach out to the caller/emailer.) If you have any questions about this, please call us to discuss. What specific steps should you take now that Equifax has had a security breach? Find out if you were affected. 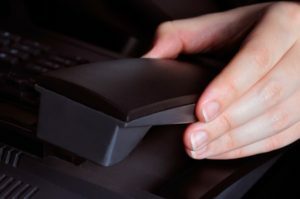 From a secure computer or encrypted network connection, go to the Equifax website, www.equifaxsecurity2017.com. Scroll down and click on ‘Potential Impact.’ You will be asked to provide your last name and the last six digits of your Social Security number. Enroll in TrustedID Premier. If your data has been breached, Equifax will offer enrollment in TrustedID Premier. The program provides up to $1 million in ID theft insurance, Social Security Number Scanning, 3-bureau credit file monitoring, and the option to freeze your Equifax credit report. A fraud alert warns both current and prospective lenders they must take reasonable steps to verify your identity before providing credit. When you’re a victim of ID theft, an alert can be put in place for up to seven years. A credit freeze is different. It restricts access to your credit report. If you request a freeze, the credit agency will send a letter with a personal ID number (PIN). Keep the PIN in a safe place. You’ll need it to unfreeze your accounts, according to the Federal Trade Commission. Change your passwords. Create new passwords for online banking, brokerage, and financial accounts. Each account should have a unique password. Best practices suggest passwords have 12 to 14 characters. You may want to consider using a password management application. They’re designed to store and retrieve passwords so you can keep track of multiple long, unique password combinations without security issues like storing passwords improperly or failing to remember them. Activate two-factor authentication. Two-factor authentication provides an additional layer of security for email and other accounts. After you enter your user ID and password, you’ll be asked for a code to verify your identity. You can have the account provider text a code to your phone, although that creates vulnerability if your phone is stolen. A better option may be to download an authenticator app so you can generate your own code. Beware email links. Some fraud attempts are obvious: text or email from a Nigerian prince or an update request from a financial institution where you don’t have an account. Others may be more difficult to spot. As a rule of thumb, if you receive an email with a link requesting you update or make changes to a financial account, don’t click on it. Call the financial institution or go directly to its website to make any changes. Keep an eye on your accounts. Check bank, brokerage, and other financial statements for suspicious transactions. If you find unauthorized activity, report it to the institution and the proper authorities. How does Ruggie Wealth protect your information? Rest assured, our custodians have a robust program to protect client accounts and information. We use security measures that comply with federal law, including computer safeguards, with secured files and buildings. Also, Our team members are trained in the proper handling of clients’ personal information and security and are required to adhere to Ruggie Wealth protocols. Additionally, we have tight controls regarding who has access to client information, which is limited to those requiring such information to perform their job functions. Strict authentication standards are in place to prevent unauthorized access to client accounts online or by phone. If you have any questions or concerns about this breach or the markets, please contact us. Tom Ruggie doesn’t believe in shortcuts—whether choosing investments for his clients or getting through his CrossFit WOD (workout of the day). “I choose to do the most difficult workouts appropriate to my ability, and push from there.” For 25 years, he has applied this sort of winning mentality to his wealth management business, which, in part, explains his recognition among Barron’s Top 1200 Financial Advisors five times. Tom attributes Ruggie Wealth Management’s success in large part to delivering a ‘fiduciary’ standard of client care—in which clients’ interests are placed first and foremost. “There is a tremendous need for fiduciary advice, free from conflicts of interest. I strongly feel that as independent Registered Investment Advisors we have a significant competitive advantage in our clients’ eyes, because we have positioned ourselves as objective champions of their financial success. We want to do things right, and that includes investing for a clear purpose that’s spelled out in depth in clients’ financial plans. We believe in making realistic financial projections, investing for the long term, communicating weekly, and when necessary, delivering hard messages about spending and retirement dates to keep clients on course. As a result, Ruggie Wealth has maintained steady asset growth, and rarely loses a client. Tom Ruggie is many things. He is a husband, father, entrepreneur, sports enthusiast, Chartered Financial Consultant®, Certified Financial Planner™, and one of Barron’s Top 1200 Financial Advisors for the fifth time. Whatever the hat, he embraces making excellence a prerequisite. In fact, he has made it a cornerstone of how he and his Ruggie Wealth Management team serve our clients. You see, they believe that once the big things are done, it is often the little things that distinguish good from great. “Little things” like promptly returning phone calls or emails, immediately taking action when a need arises, proactively reaching out with new opportunities, and just checking in to see how things are going…all the things they don’t actually consider “little” at all. From the very first phone call, Tom and the Ruggie Wealth Management team want to prove to you what it is like to have one of the top wealth management firms in the country make you their top priority. If this is the type of Financial Advisors you want, let’s talk. Call us today at 352.343-2700. The deadline for filing federal tax returns was midnight last night. Many are exhaling with a sigh of relief while others may be searching for answers and reevaluating their financial strategy for the short and long term. This is an obvious opportunity to make a good review of today’s financial reality to project tomorrow’s path forward. Barron’s recognized Tom Ruggie and the Ruggie Wealth Management team apply various components of our wealth management approach that come together through a comprehensive suite of services. We analyze your retirement plans and intentions, employee benefits, and estate plan. The results establish a foundation for personalized asset allocation recommendations, as well as specific investment strategies. We will optimize your financial plan in an effort to minimize your fees, decrease tax exposure, ensure readiness for important milestones including education funding. We also seek to mitigate insurable risks, and maximize the impact of your charitable giving. Call us today at 352.343.2700. We are here to answer your questions and help you discover options to move forward with confidence in your financial strategy. Ruggie Wealth Management has the experience and industry recognition to help you develop a reliable and secure estate plan. Founder and CEO of Ruggie Wealth Management, Tom Ruggie, was named a Top 1200 Advisor by Barron’s Magazine for the fifth time and a third year in a row. Among the factors, the ranking takes into consideration are the quality of practice, assets under management, revenues, and philanthropic work. At Ruggie Wealth, we aren’t here to push product or personality. Our passion is to serve people and to see your financial goals come to life and find success. Call us today at (352) 343-2700 to ask any questions or to set up a time to meet with our wealth management advisors. We are ready to help. We are excited Ruggie Wealth Management (RWM) Founder and CEO Tom Ruggie has been recognized as a Barron’s Top 1200 Financial Advisor and is one of only about 20 advisors nationwide invited to join the elite Forbes Finance Council. However, Tom would be the first to tell you these recognitions are only possible because he is surrounded by an extraordinary team who provide principled, unbiased, client-first service. 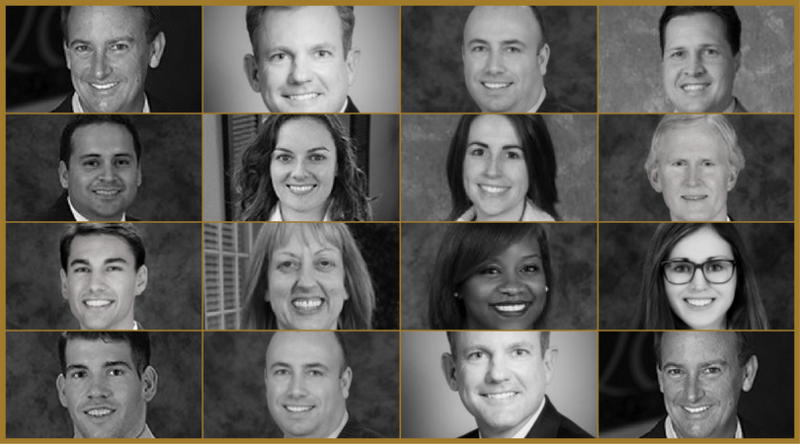 Our team takes the time to understand our clients and their needs and takes very seriously their fiduciary responsibility to put their clients’ needs above their own. Doing so helps ensure our clients can enjoy the confidence and peace-of-mind that comes from having their investments handled wisely, and their financial lives simplified and organized. For your free consultation, call us today at (352) 343-2700 or learn more about our team by clicking here. When it comes to your retirement, we reject formulaic answers or cookie-cutter plans. At Ruggie Wealth Management, we avoid the temptation to idealize the road ahead. Instead, we look at where you are and where you need to be financially by looking at multiple indicators that can help you prepare and improve your financial health in the years ahead. We think through multiple scenarios, (for example, how do you best avoid outliving your money), provide action steps to help set you on the right course, monitor how you’re doing, and consistently communicate where you are in meeting your goals. Our innovative Ruggie Method Distribution Strategy replaces conventional evaluation processes which determine how and when an individual’s retirement savings should be distributed, with a statistical method. This Ruggie Method Distribution Strategy is also ideal for helping foundations determine the optimum annual distribution of their portfolio balances. These are just some of the reason, Ruggie Wealth Management Founder and CEO Tom Ruggie, ChFC®, CFP®, has been named to Barron’s 2017 list of America’s Top 1,200 Advisors, the fifth time he has earned this distinction, and the third time in a row. Factors this ranking takes into consideration include quality of practice, assets under management, revenues, and philanthropic work. As Tom has invested into his career and company, Ruggie Wealth Management will invest in you, your financial strategy and retirement plan. Call us today at (352) 343-2700 to ask any questions or to set up a time to meet with our wealth management advisors. Planning for the future starts today. We are here to help. Ruggie Wealth Management announced that Founder and CEO Thomas H. Ruggie, ChFC®, CFP®, has been named to Barron’s list of America’s Top 1,200 Advisors: 2018. This is the sixth time Ruggie has earned this distinction, and the fourth straight year. Barron’s publishes its annual Top 1200 Advisors by State compilation to recognize advisors demonstrating exceptional performance, professionalism, client service and community involvement. Among the factors the “Barron’s Top 1,200 Advisors” ranking takes into consideration are quality of practice, assets under management, revenues, and philanthropic work. Ruggie Wealth Management provides services to individual and corporate clients, as well as to a select group of endowments and foundations. As the flagship company of Ruggie Capital Group, Ruggie Wealth offers a broad range of services and products to help clients achieve their financial goals. Ruggie Capital Group recently launched Destiny Family Office to expand their continuum of services to high-net-worth clients. 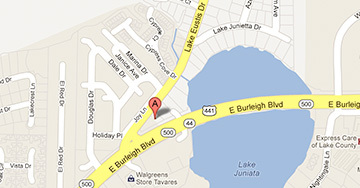 The firm has offices in Tavares, Winter Park and The Villages®, FL. Ruggie Wealth Management has expanded its trust solutions for clients whose financial, family or business needs require the services of a corporate trustee, by becoming a Trust Representative Office of National Advisors Trust Company, FSB (NATC). With $10 billion in assets under administration, NATC is one of the largest independent trust companies in the nation. It is nationally-chartered and regulated by the Office of the Comptroller of the Currency, (a bureau of the U.S. Treasury Department) It is also a member of the Federal Deposit Insurance Corporation. By working with NATC, your Ruggie Wealth Advisor and your estate planning attorney are able to create a solid, effective estate plan that helps you minimize estate transfer and gift taxes while providing a flexible trustee solution. Together, we help improve the overall transfer of wealth between generations, and help you remain confident about the future of your estate. 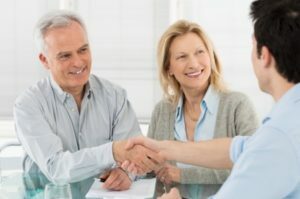 Your estate planning professional can work with you to recommend and establish the appropriate trust. They will appoint Ruggie Wealth as your investment advisor and NATC as a corporate trustee, co-trustee or agent for trustee. Families can retain as much involvement and responsibility with the trust as desired. Individuals sometimes appoint themselves, a family member, attorney, or family friend as trustee of their trusts. We know there’s no one-size-fits-all trustee solution that works for every situation. For many individuals, the administrative aspects of serving as trustee are time consuming and challenging. It may be difficult to ensure compliance with the trust document. By appointing Ruggie Wealth to act as the agent, the trustee will still retain fiduciary responsibility, while the trust company provides asset custody, trust-style statements and trust officer support. Ruggie Wealth works directly with the trustee to manage trust assets, help perform trust administration duties as outlined in the trust document, such as distributions, statement production, tax reporting and bill paying and achieve the stated financial objectives. For more information, talk with your Ruggie Wealth Advisor. RWM Asset Management President Thomas H. Ruggie, ChFC®, CFP®, announced he has joined Lion Street as an Advisor-Owner. Lion Street is a national financial services distribution company owned by an elite force of independent financial advisors who also specialize in providing life insurance, business insurance, and other financial-planning solutions to their high-net-worth individuals, family offices, business owners, and corporate clients. 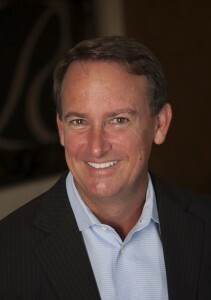 “I have been looking for a partner in the insurance arena who specializes in areas we would otherwise not get involved in, including bank-owned life insurance (BOLI), corporate-owned life insurance (COLI), deferred compensation planning, and employee stock-ownership plans (ESOP), and we are very pleased with Lion Street’s approach,” said Ruggie, who is also president of Central Florida-based Ruggie Wealth Management, an independent Registered Investment Advisor (RIA). “This strategic investment is an evolutionary leap in extending those types of services further on behalf of our clients, while expanding the value we deliver. Ruggie Wealth Management provides services to individual and corporate clients, as well as to a select group of endowments and foundations. As the flagship company of Ruggie Capital Group, Ruggie Wealth offers a broad range of services and products to help clients achieve their financial goals. 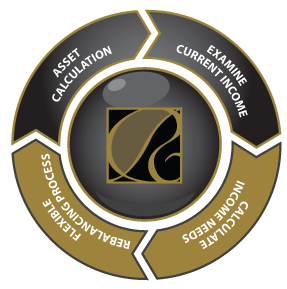 RWM Asset Management is a separate RIA which manages Ruggie Wealth’s investment portfolios. Financial Times Names Ruggie Wealth Management to 300 Top RIAs in the U.S.
Is Your Retirement Planning on Your Boss’ To-Do List? Can Companies Solve Workers’ Money Problems? Should You Take Money Advice Where You Work? Are You Overwhelmed At Work? 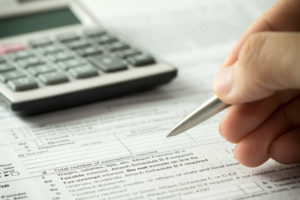 Are You Missing Out On A Possible Triple Tax Advantage? Has Your Car Joined The Internet Of Everything? When Do You Have A Duchenne Smile? How Do You Define Investment Success? How Much Is One Trillion? When Will Federal Reserve Rates Increase For Overnight Borrowing?